PNMP series PVC economic pulverizers or grinder are designed in accordance with the highest standards and can grind heat-sensitive plastic at normal temperature without coolant, such as PVC,PE,PC,PP etc, at the same time keep the material virgin physical characteristics. A generously dimensioned bearing and drive arrangement guarantee smooth operation at a long service life. 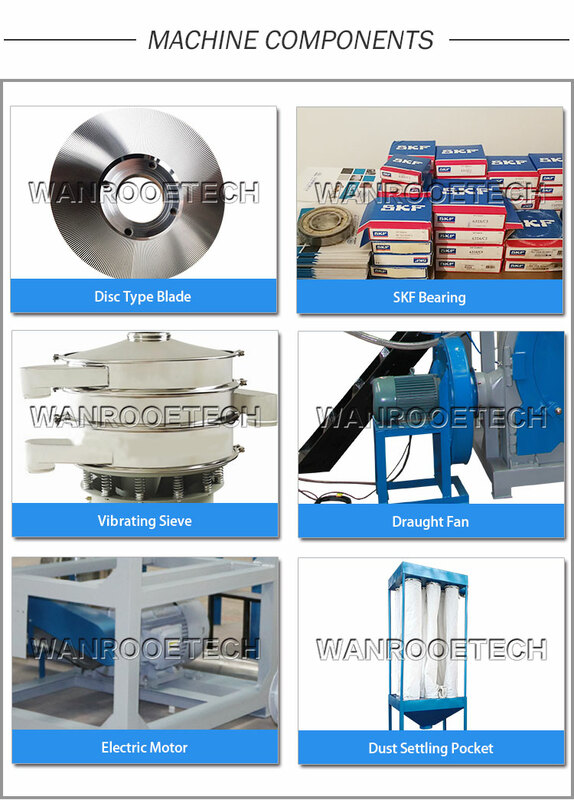 WANROOETECH teams innovation design allow you don’t need to configure the vibrating screen machine, and also can get the right size of the PVC powder to meet your exclusive requirement.